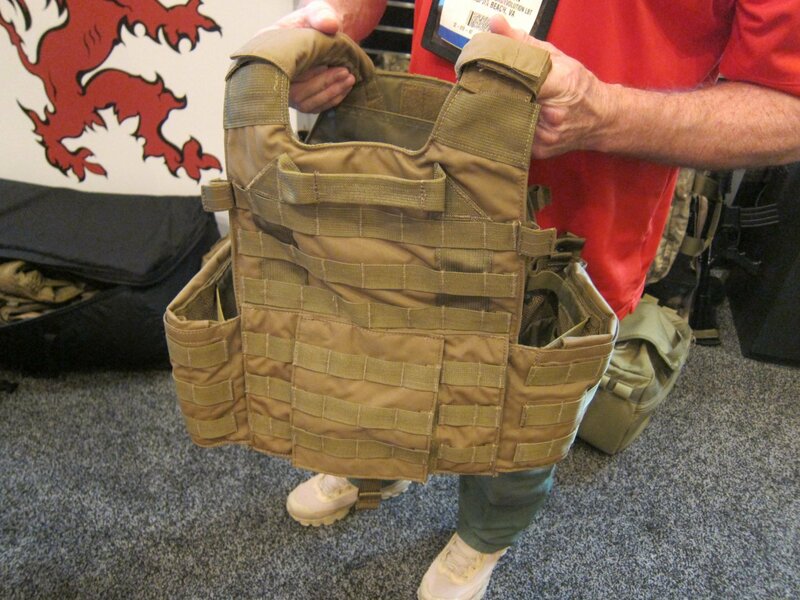 London Bridge Trading (LBT) Modular Sentinel Releasable Plate Carrier (RPC) Tactical Armor Carrier/Vest with Quick-Release Assault Panel (QRAP) and Kangaroo Pouch Mag Carrier Insert | DefenseReview.com (DR): An online tactical technology and military defense technology magazine with particular focus on the latest and greatest tactical firearms news (tactical gun news), tactical gear news and tactical shooting news. All photos and video clips contained in this article were shot by DefenseReview.com, and are copyrighted. DefenseReview.com owns the copyright on these photos and video clips. The photos and video clips embedded below were shot with a Canon PowerShot S90 10-megapixel digital camera (still camera with video capability). Mike Thompson of London Bridge Trading (LBT) trading showed DefenseReview.com (DR) the LBT Modular Sentinel Releasable Plate Carrier (RPC) tactical armor carrier with integral LBT 3/M4-1/2 Insert w/Bungee retention (kangaroo pouch) and LBT Quick-Release Assault Panel (QRAP) chest rig for carrying rifle mags at SHOT Show 2012, but for some reason, we never published the video and photos we shot of it. So, we're remedying that now. 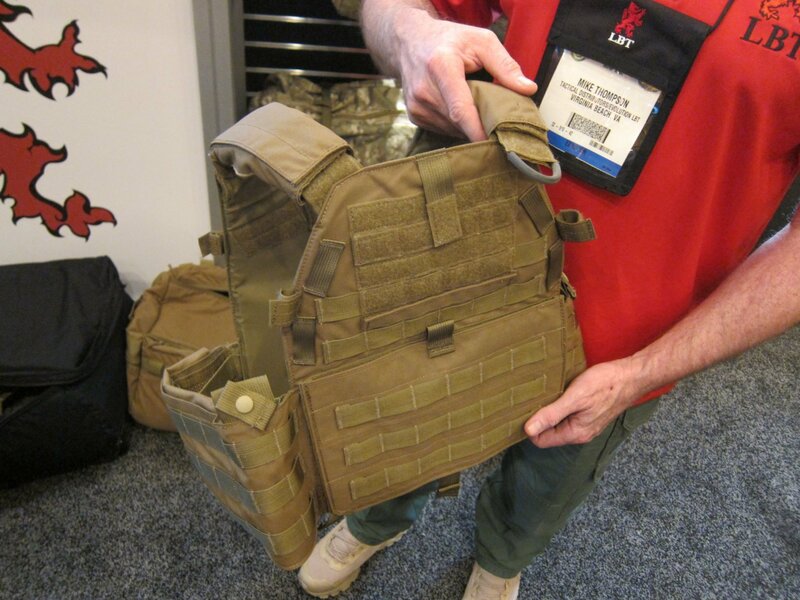 The LBT Modular Sentinel RPC with integral QRAP mag carrier looked well-designed when we examined it. 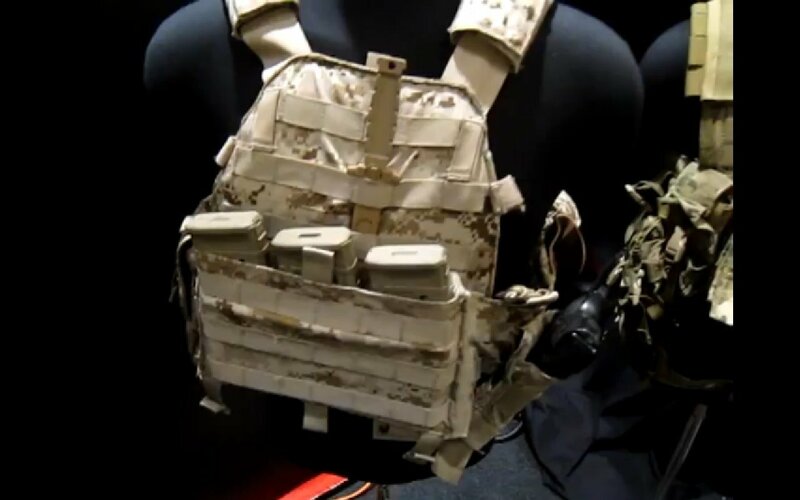 It was developed for military Special Operations Forces (SOF) in need of a quick-release armor carrier that will also allow for the necessary level of mobility in dynamic combat environments. Defense Review has also seen a maritime/waterborne version of the system that was developed for the Naval SPECWAR community. We saw this sytem while we were in Virginia Beach, last year. The Modular Sentinel RPC allows you to release the vest instantaneously in an emergency via the Dual position cut-away handle with positive-stop release and integral cable cut-away system, and then reassemble the vest within 2.5-3 minutes. LBT claims that the Sentinel RPC is the "only carrier that incorporates a ballistic suspension system (CASS)" on their website. If you're going into battle with the LBT Modular Sentinel RPC, you're going to want to outfit it with the lo-pro LBT Quick Release Assault Panel (QRAP) (features/specs below) for carrying extra rifle mags. 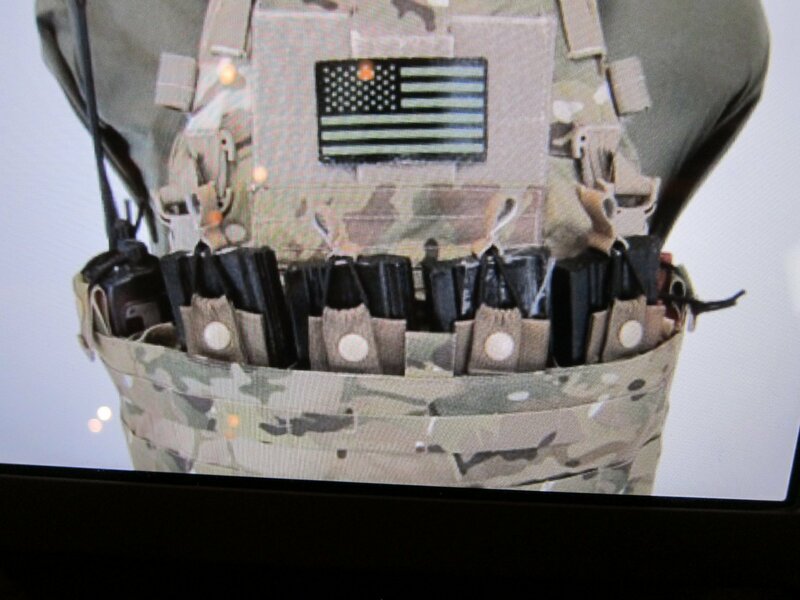 The QRAP utilizes the 3/M4-1/2 Insert w/Bungee retention (kangaroo pouch) to carry the mags. – Easy-to-secure waist strap can be adjusted with one-handed pull, and slack is secured via hook and loop "one wrap"
** Coyote Tan is changing to Tan 499, contact Sales for more info **"
FirstSpear (also written “First Spear”) High-End Tactical Gear/Equipment for Military Special Operations Forces (SOF) and Law Enforcement Personnel: Meet The Siege, The Sleeper, and The Beat Up PC (Plate Carrier) Tactical Armor Carrier Systems/Tactical Vests…and Other Tactical Delights. 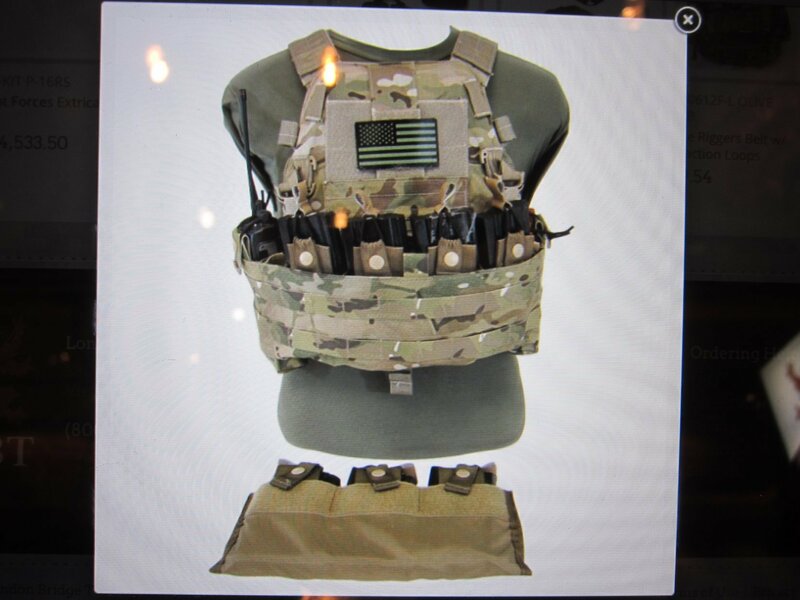 Archangel Armor Internal Frame Load-Bearing System (IFLBS) Version 5 Tactical Armor Plate Carrier/Tactical Vest System: Lighten your load when you’re in combat mode!